For all your demolition needs in Grand Rapids, Michigan, choose Grand Rapids Demolition. We employ competent, skilled workers. Our equipment gets the job accomplished at reasonable rates you can actually afford. You might be wondering what it is that we exactly do. We specialize in a variety of services. For instance, we can accomplish a commercial building demo; home demolition; concrete breakdown & removal; debris cleanup; emergency services; garage demolition; land cleaning; land leveling; and pool removal & fill-in. Any service that you need in this range is something that we specialize in. This way you know you're getting expert results from seasoned professionals. Our residential demolition contractors have the hands on training that is necessary to complete the tasks while keeping all of the neighbors safe. We recognize that demolition in a residential community requires a special kind of care and precision. Many demolition contractors' companies are run to high standards. 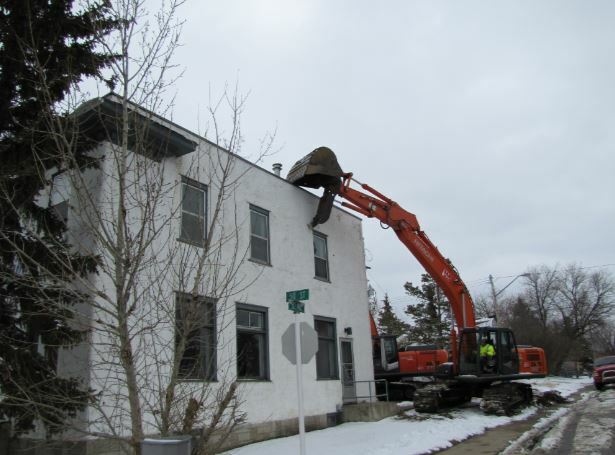 As local demolition contractors, Grand Rapids Demolition does our utmost to provide you with the best quality service. Our demolition contractor license means that we have obtained all the necessary qualifications. We serve you with a confidence knowing that we are getting the job done right. Many people don't realize that we are commercial demolition contractors. You can enlist Grand Rapids Demolition for multi million dollar jobs. There is no size of demolition that our team is not equipped to handle. As national demolition contractors, we have seen it all. We can assess the site and give an estimate of the time and fee that it will cost. Please feel free to call our company for a quote. So whether it is a pool that needs to be eradicated or you just need help cleaning up the after math of a disaster, our team is here to help. You might even be surprised at the wide range of services that a demolition team can offer. Virtually any job that involves concrete removal is something that we provide. Tearing buildings and fixtures down requires precision. It is not a task for someone who doesn't have the equipment and training. Our demolition engineers understand the dynamics of taking everything apart properly and safely. If you need a company that is licensed with top quality service, we can offer you a quote. Give us a call to talk to one of our team members today. Your building or fixture deserves the same attention in taking it down as there was when it was being constructed. That's why your particular project is important to us. We strive to give you priority attention so you can get the job done right.